Developer Floor Plans, Site Plans, Condo Docs and Developer Information available. Poured In Placed Solid Concrete. All Exterior and Interior Walls Poured In Place. Amenities include a Lazy River with Lagoon Style Pool and Water Slide. Projected Rental Income $65,000-$75,000 a Year. Large 18 " Tile Throughout, Granite In Kitchen,Wet Bar and all Bathrooms. Full Height Custom Cabinets in Kitchen and Over Wet Bar, Stainless Steel Appliances in Kitchen Wet Bar w stainless Ice Maker. 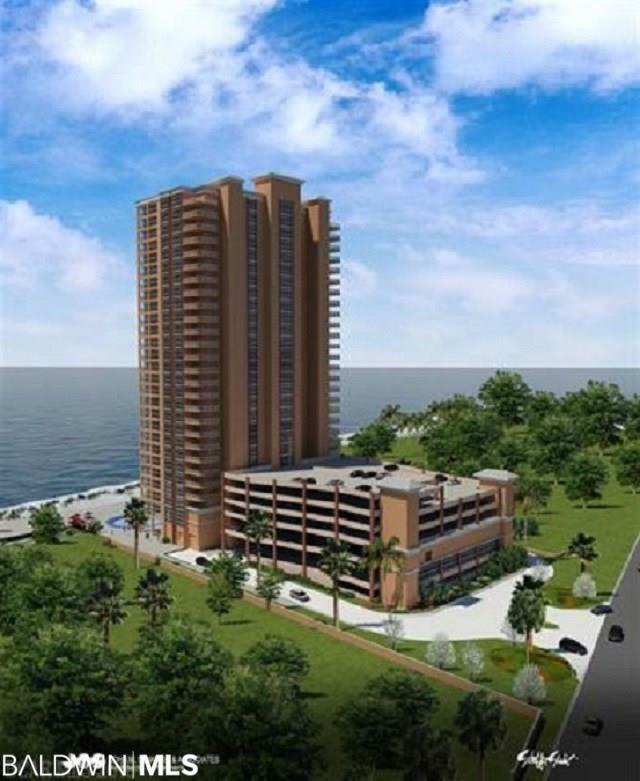 10' Smooth Textured Ceilings, Large Crown Molding, Floor to Ceiling High Impact Glass, Raised Electrical for Flat Screen Wall Mount in Living room and all bedrooms, Gulf front Master Bedroom with Jetted tub in Bathroom. Large Private Balcony with Fabulous Views. Building currently under construction. Buyer still has the option for a limited time to pick out all interior color selections. There are multiple color selections for Granite, Cabinets, Tile and Paint.